you look stunning again!Love that sweater!and the shorts <3 you've made an amazing combination dear! I love those shorts - they're so cute! My favorite little detail of the outfit, though, is that skull bracelet. Thank you for your comment ;-) You look absolutely amazing! I love everything! You are so beautiful! love your shorts! i follow you, too. you look perfect! love the shorts! Great outfit :) Thank you for following me, just tell me where you followed me and I´ll follow you back there! Really loce this look, and thanks for leaving your blog on my blog now I'm following you because i really love your looks! AMazing outfit, i love the short and the shoes so much! i like your blog, what about following each other? please tell me if you want! Molto bello sia l'orologio che il bracciale :D Reb, xoxo. wow you are so pretty! I love your shorts! my dear, such a cute style! i love the heels! Stunning! love the outfit, so chic! Great outfit!!! Love the shorts and the watch, amazing!!! you're so pretty and i love these shorts! I love polka-dots, it's so vintage! You're so pretty and your hair is stunning. I am following you from Rome. You look amazing. So nice pics and post. I follow. Wow - you are absolutely flawless! I love your hair and you have such perfect features. This outfit is so classy and I love how you glammed up your polka-dots, typically a feminine, cutesy pattern, to make it more elegant. The gold detailing on your accessories and bag is beautiful and I love your sweater! You have a beautiful blog and I have followed you - you deserve so many more followers! Wauw what a beauty you are! 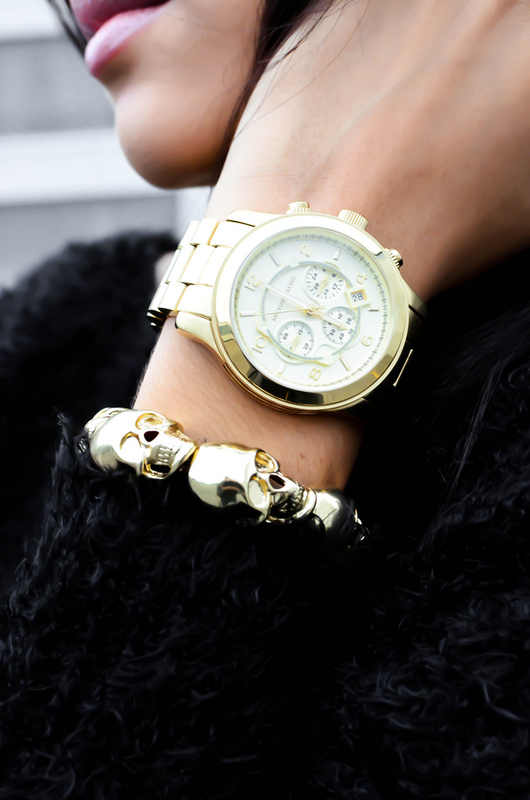 And so so in love with the armcandy! Oh my!!!! You're such a beauty! That I haven't discovered you earlier!!! I love all things polka dot these days. Cute shorts!